As concern for environmental issues continues to grow in China, enterprises and government officials should increasingly expect to be subject to public opinion. Minter Ellison says the new amended Environmental Protection Law (EPL) will make it more difficult for enterprises to skirt environmental laws, and for officials to fail to enforce the law, without being subject to public scrutiny. Minter Ellison’s Hong Kong office has prepared the following commentary on how the new EPL will affect doing business in China. 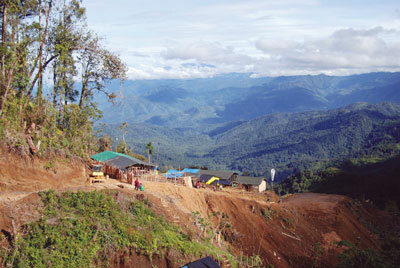 UNDER an impressive pedigree of gold exploration in Papua New Guinea, including one of the region’s most successful gold prospectors in Peter Macnab, Crater Gold Mining has emerged as a triumphant junior after seven years in the island nation. Crater Gold has delivered the first new gold mine in the country in eight years … and this comes at a time when the entire mining industry is reeling. IT IS one of the biggest challenges facing mine sites - how can we increase productivity without compromising safety or increasing cost? 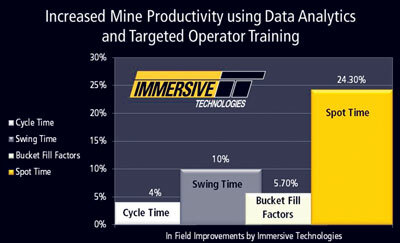 Immersive Technologies, a leader in mining training solutions, says compelling results prove putting more focus on operator behaviour and skills will deliver higher output.